The Runt Rover collection of unique kits spark creativity and imagination. They are fun, affordable, durable and snap together quickly! They can easily be expanded with our continually growing Actobotics line. Whether you’re an experienced roboticist or new hobbyist, these are great for a variety of applications. Simply mount your electronics using our innovative multi-board mounts that are compatible with a variety of micro-controllers; such as Raspberry Pi, Arduino and the SparkFun Redboard. The Runt Rovers™ are perfect for beginning lite programming and educational applications. 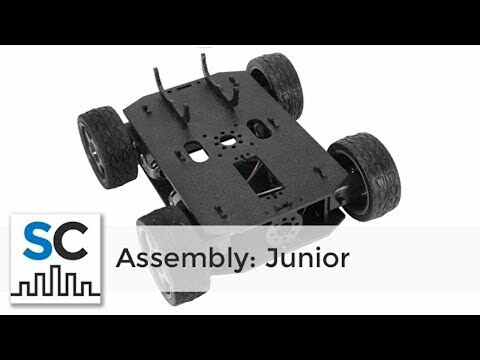 The Junior kit is designed so you can mount a servo for easy addition of scanning sensors, gripper kits, or arms. The kit is mostly snap-together, only requiring a Phillips Head Screwdriver for assembly!